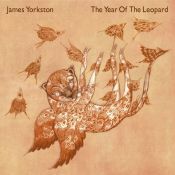 In trading their early sound of James Brown and the JBs for that of Booker T. & the MGs, the Dap-Kings’ slower, moodier template gives Jones’ voice the space it needs to soar. Throwback soul has become a staple of many producers, spanning a number of genres. But to hear soul music worthy of Motown is rare, which is what makes Sharon Jones so welcoming. This time, the band dabbles in slow-simmering gospel, and while 100 Days, 100 Nights doesn't pop with sweaty passion like The Dap-Kings' more memorable work, the record retains a ripped-from-the-past vibe that's astonishing in and of itself. They may not be doing anything especially new, but Sharon Jones & the Dap-Kings are the very best at what they do, and they've made another excellent album. That's the magic and power of Sharon Jones & the Dap-Kings: their ability to convey passion and pain, regret and celebration, found in the arrangements and the tail ends of notes, in the rhythms and phrasing, and it is exactly that which makes 100 Days, 100 Nights such an excellent release. 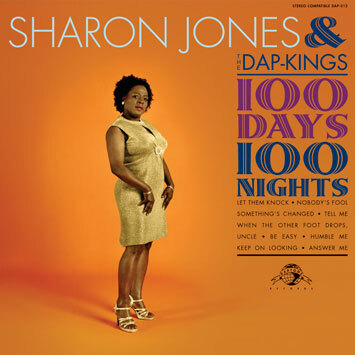 If Sharon Jones & the Dap Kings are somehow out-of-step with modern trends in R&B music, 100 Days, 100 Nights still speaks to the soul and the depth of the genre’s past. Purchasing 100 Days, 100 Nights from Amazon helps support Album of the Year. Or consider a donation?